This is a scalable context timeline. It contains events related to the event 1998: Abu Hamza Helps Recruit Future Would-Be Shoe Bomber. You can narrow or broaden the context of this timeline by adjusting the zoom level. The lower the scale, the more relevant the items on average will be, while the higher the scale, the less relevant the items, on average, will be. A group of recruits at the radical Finsbury Park mosque in London, which is run by British intelligence informer and radical London imam Abu Hamza al-Masri (see Early 1997), starts to be groomed as suicide bombers. The group includes shoe bomber Richard Reid (see December 22, 2001) and Saajid Badat, one of his accomplices (see (December 14, 2001)). Some of the suicide squad live in Brixton, south London, with Zacarias Moussaoui. Salam Abdullah, a radical who attends the mosque at this time, will later say, “You could tell from the way they were treated by Abu Hamza and his aides that they were marked for something special, but we didn’t know it was for suicide attacks.” Other mosque-goers do not discuss the group, and the men do not talk about their mission, but periodically disappear, presumably to go abroad for training. Some of them are foreigners, who are known only by their nicknames, and are sent to Finsbury Park from other militant centers around Britain and Europe. Authors Sean O’Neill and Daniel McGrory will later comment: “It was in north London that the suicide bombers were provided with money, documents, and the names of the contacts who would steer them to the intended targets in the Middle East, Afghanistan, Chechnya, Kashmir, and the cities of Europe.” [O'Neill and McGrory, 2006, pp. 89-93] In addition to being an informer for the British, Abu Hamza is himself under surveillance by numerous intelligence services, including the same British ones he works for (see Summer 1996-August 1998, (November 11, 1998), and February 1999). What the British authorities know of this squad, and whether they attempt to do anything about it is unknown. Richard Reid. [Source: Plymouth County Jail]MI5, Britain’s domestic intelligence agency, has Zacarias Moussaoui under surveillance. The French government had asked MI5 to monitor him in 1999 (see 1999), but it has not been confirmed if this is in response to that request. It is not clear when the surveillance begins, but the Observer reports that it lasts for “months” and ends when Moussaoui leaves Britain on December 9, 2000, to attend an al-Qaeda training camp in Afghanistan. The extent of Moussaoui’s surveillance is not publicly known; the only reported detail is that some phone calls between Moussaoui and Richard Reid are intercepted. 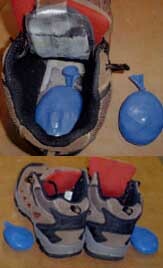 Reid will later be convicted for attempting to blow up a passenger airliner with a bomb in his shoe (see December 22, 2001). MI5 records the conversations between them made inside Britain. Opposition politicians in Britain will later criticize MI5 for not realizing Reid’s al-Qaeda ties between 9/11 and Reid’s shoe bomb plot over two months later. [Observer, 12/30/2001; Wall Street Journal, 12/31/2001] Moussaoui appears to be in contact with other al-Qaeda figures during this time. For instance, he travels to Yazid Sufaat’s house in Malaysia in September 2000 and again in October 2000 (see September-October 2000), and Ramzi bin al-Shibh stays in London for a week in early December 2000 and meets with Moussaoui (see October 2000-February 2001). [Independent, 12/11/2001] However, it is not known if such contacts are monitored as well. The NSA monitors calls between an al-Qaeda communications hub in Yemen and one or more operatives involved in a plot to attack the US embassy in Paris. The communications hub in Yemen is run by Ahmed al-Hada, father-in-law of 9/11 hijacker Khalid Almihdhar, who is also involved in the US embassy bombings (see August 4-25, 1998), the USS Cole bombing (see Mid-August 1998-October 2000), and 9/11 (see Early 2000-Summer 2001). The Paris plot is apparently foiled based on this information, although the details are sketchy. [US News and World Report, 3/15/2004] The name of the operative or operatives who talk to the communications hub in Yemen is unknown. One candidate is Djamel Beghal, who will be arrested on July 28 (see July 24 or 28, 2001) based on a tip-off issued by the CIA to partner agencies on July 3 (see July 3, 2001). Another is Nizar Trabelsi, who will be arrested on September 13, although Trabelsi may be arrested based on information gleaned from Beghal. Both Beghal (see Spring 1998) and Trabelsi (see September 13, 2001) are connected to a plot to destroy an airliner with a shoe bomb, but this is not stopped (see December 22, 2001). The FBI’s Minneapolis office asks for permission to interview Zacarias Moussaoui a few hours after the end of the 9/11 attacks, but permission is denied, apparently on the grounds that there is no emergency. On 9/11, the office’s counsel, Coleen Rowley, seeks permission from the Acting US Attorney to question Moussaoui about whether al-Qaeda has any further plans to hijack airliners or otherwise attack the US. The next day she asks again; this time the request is sent to the Justice Department. Such questioning would not usually be permitted, but Rowley argues that it should be allowed under a public safety exception. However, permission is denied and Rowley is told that the emergency is over so the public safety exception does not apply. Rowley will later comment: “We were so flabbergasted about the fact we were told no public safety emergency existed just hours after the attacks that my boss advised me to document it in a memo which became the first document in the legal subfile of the FBI’s ‘Penttbom’ case.” [Huffington Post, 5/2/2007] Some sources will suggest that Moussaoui was to be part of a second wave of attacks (see September 5, 2002). He is also an associate of shoe bomber Richard Reid, who will attempt to blow up an airliner later this year (see Mid-2000-December 9, 2000 and December 22, 2001). Nizar Trabelsi. [Source: Daily Telegraph]Nizar Trabelsi, an al-Qaeda operative involved in numerous plots, is arrested in Brussels, Belgium. Police find machine pistols, chemical formulas for making bombs, detailed maps of the US embassy in Paris, and a business suit—it appears Trabelsi intended to walk into the embassy with the suit covering a suicide bomb vest and then detonate the explosives. The arrest is apparently due to information gleaned from Djamel Begham, a top al-Qaeda operative arrested in July (see July 24 or 28, 2001). Two of the plots Trabelsi is said to be involved in, an attack on a NATO base in Belgium and the attack on the US embassy in Paris, are thwarted. 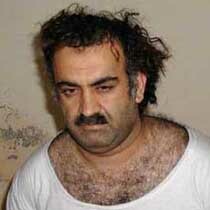 Trabelsi will later be found guilty in Belgium of planning the attack on the base (see September 30, 2003). [CNN, 10/3/2001] However, a third plot in which Trabelsi is involved—a plot to blow up two transatlantic airliners—is not thwarted. The plot is to be carried out by two al-Qaeda operatives who are in contact with Trabelsi around this time, Saajid Badat and Richard Reid. Reid returned to Europe from Asia in July or August (see July 2001), after which he stayed in Belgium with Trabelsi, who also found him work in hotel kitchens. Badat is also in contact with Trabelsi using phone cards, and analysis of them will help lead to his arrest some time later. The plot will fail when Badat backs out (see (December 14, 2001)) and Reid is unable to detonate the explosives before he is overpowered by fellow passengers and crew (see December 22, 2001). It is unclear why this third plot is not stopped as well after Trabelsi’s arrest. [O'Neill and McGrory, 2006, pp. 229-231] However, his arrest does lead to more arrests in Spain 13 days later (see September 26, 2001). 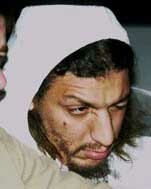 The arrest of al-Qaeda operative Nizar Trabelsi is revealed in the international press by this date, if not earlier. An article published by UPI on this day names Trabelsi as having been arrested (see September 13, 2001) in connection with the capture of one of his associates, Djamel Beghal, in Dubai (see July 24 or 28, 2001). [United Press International, 9/21/2001] Trabelsi is linked to two shoe bombing plotters, Richard C. Reid and Saajit Badat. [O'Neill and McGrory, 2006, pp. 231] The arrest is also mentioned in subsequent days on CNN and in the Washington Post, for example. [Washington Post, 9/28/2001; CNN, 9/29/2001] Al-Qaeda may well already be aware that Trabelsi has been arrested, as he must have been out of contact for over a week at this point. However, the shoe bombing plot is not canceled and goes ahead, despite the bombers’ link to Trabelsi. One of the bombers backs out later for an unrelated reason (see (December 14, 2001)) and the other is thwarted when he attempts to blow up an aircraft in December (see December 22, 2001). Suspected al-Qaeda operative Mohammed Saad Iqbal Madni (see Early January-January 9, 2002) flies from Pakistan to Jakarta, where he used to live as a teenager. 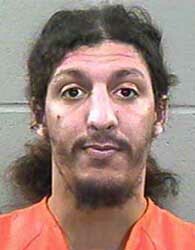 He allegedly worked on a shoe bomb plot with Richard Reid (see December 22, 2001). [Washington Post, 3/11/2002] He will soon be arrested by Indonesian authorities at the request of the CIA (see Early January-January 9, 2002). Two radical Muslims involved in a shoe bombing plot, Richard Reid and Saajit Badat, travel to Pakistan and Afghanistan to meet an al-Qaeda bomb maker named Midhat Mursi (a.k.a. Abu Khabab al-Masri). Mursi has been working on a plan to get enough plastic explosive to puncture a plane’s fuselage into a shoe and thinks he has finally succeeded. It is unclear where the explosives the two men later obtain for the plot come from. At his trial, Reid will claim that he obtains the explosives from a neo-Nazi group and then rigs a bomb he tries to detonate on an airliner himself. However, the prosecution will point out that a hair and a palm print found on the mechanism are not his. If the two men do obtain the explosives directly from Mursi, it is unclear how they manage to transport them back to Britain, to which they return on December 5. [O'Neill and McGrory, 2006, pp. 230-231] The war is raging in Afghanistan at this time (see November 26, 2001), but this does not seem to hinder them. US Marines landing near Kandahar on December 10, 2001. [Source: Earnie Grafton / Agence France-Presse]A force of about 1,200 US marines settles in the countryside around Kandahar, Afghanistan. This will make up nearly the entire US force actually on the ground in the country during the war to remove the Taliban from power. Over the previous week, CIA Deputy Counter Terrorism Center Director Hank Crumpton had been in contact with Gen. Tommy Franks and other military leaders at CENTCOM, arguing that “the back door was open” in Tora Bora and the troops should go there instead. But Franks responded that the momentum of the CIA’s effort to corner bin Laden could be lost waiting for the troops to arrive. [Suskind, 2006, pp. 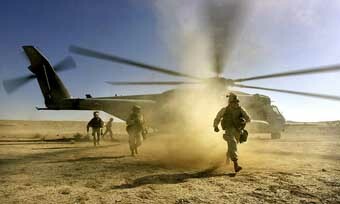 58] The marines will end up being largely unused in the Kandahar region while bin Laden will escape from Tora Bora. In 2005, Gary Berntsen, who was in charge of an on-the-ground CIA team trying to find bin Laden, will claim that Franks “was either badly misinformed by his own people or blinded by the fog of war. I’d made it clear in my reports that our Afghan allies were hardly anxious to get at al-Qaeda in Tora Bora.” [Financial Times, 1/3/2006] The Afghan allies the US relies on to find bin Laden will actually help him escape (see Mid-November 2001-Mid-December 2001). Tom Ridge, Director of Homeland Security, warns that terrorist strikes “could happen within the next few weeks.” Ridge states that “the quantity and level of threats… have reached a threshold where we should once again place the public on general alert.” He describes the terrorists as “shadow soldiers… a shadow enemy.” [MotherJones, 12/3/2001] Richard Reid does attempt to blow up an airplane with a shoe-bomb later in the month (see December 22, 2001). 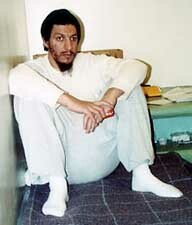 Ibn al-Shaykh al-Libi, captured by Pakistani forces six weeks earlier (see November 11, 2001), is handed over to US authorities at the Bagram air base in Afghanistan. Two FBI agents from New York are tasked with interrogating him. One of the agents, Russell Fincher, spends more than 80 hours with al-Libi discussing religion and prayer in an effort to establish a close bond. It works, and al-Libi opens up to Fincher, giving him information about Zacarias Moussaoui and the so-called shoe bomber, Richard Reid (see December 22, 2001). [Isikoff and Corn, 2006, pp. 120] But despite this progress, he will soon be transferred to Egypt and tortured there into making some false confessions (see January 2002 and After). Ten days before, the US Federal Aviation Administration (FAA) had issued a warning that radicals might try to smuggle weapons or explosives onto a plane in their shoes, but Reid’s boots, which contain explosives, are never searched. There are holes drilled in the boots and even a casual examination of them would make staff suspicious. After missing the plane because of the checks, Reid re-books for the next day. He then e-mails his al-Qaeda contacts, who tell him to proceed as soon as possible. [O'Neill and McGrory, 2006, pp. 232-233] According to an FAA source, this incident should lead to a warning in the FAA computer system saying that Reid should be detained if he again attempts to board the flight. The warning would ensure that Reid is questioned the next day and prevented from boarding. However, no such warning is issued. [Daily Mail, 12/24/2001] Reid returns the next day and is allowed onto the plane, but fails to blow it up (see December 22, 2001). Richard Reid’s shoe bomb. [Source: NEFA Foundation]British citizen Richard Reid is arrested for trying to blow up a Miami-bound jet using explosives hidden in his shoe. [Associated Press, 8/19/2002] Reid fails in his attempt to destroy the American Airlines jet because he is unable to detonate the explosives—he cannot get the fuse to light using matches, despite using up six of them before he is overpowered by the stewards and passengers. Authors Sean O’Neill and Daniel McGrory will comment, “Had Reid used a cheap disposable plastic cigarette lighter to ignite the fuse of his bomb, rather than a match that did not burn for long enough, forensic experts are sure there was enough plastic explosive in his boot to puncture the fuselage of Flight 63 and bring down the aircraft.” [O'Neill and McGrory, 2006, pp. 215-217, 236] The attack is supposed to be one of two simultaneous attacks, but Reid’s partner, Saajit Badat, backs out shortly before the bombing (see (December 14, 2001)). Reid will later plead guilty to all charges, and declare himself a follower of Osama bin Laden. [CBS News, 10/4/2002] He may have ties to Pakistan. [Washington Post, 3/31/2002] It is later believed that Reid and others in the shoe bomb plot reported directly to 9/11 mastermind Khalid Shaikh Mohammed (KSM). [CNN, 1/30/2003] It has been suggested that KSM has ties to the ISI, and that Reid is a follower of Ali Gilani, a religious leader believed to be working with the ISI (see January 6, 2002). Anti-abortion activist Eric Rudolph, who has pled guilty to bombing abortion clinics (see January 16, 1997 and January 29, 1998), a gay and lesbian nightclub (see February 21, 1997), and the 1996 Olympics (see July 27, 1996 and After and October 14, 1998) in a series of court proceedings, releases an 11-page “manifesto” that explains the rationale behind his bombing spree. In the document, which the Associated Press terms “[a] sometimes-rambling, sometimes-reflective” statement, Rudolph writes that he considers himself a “warrior” against abortion, which he calls murder, and the US government, which he charges with permitting the “slaughter” of “innocent babies.” Rudolph will receive four life sentences without parole in return for the prosecution removing the death penalty from consideration (see July 18, 2005). He has also alerted authorities to a large stash of explosives he created while hiding in the mountains of western North Carolina. The US charges British citizen Binyam Ahmed Mohamed (see May-September, 2001), who has allegedly used the aliases Talha al-Kini, Foaud Zouaoui, Taha al-Nigeri, and John Samuel, with conspiracy to foment and carry out terrorist attacks against US targets. Mohamed, who was arrested in Pakistan in April 2002, is charged with “attacking civilians; attacking civilian objects; murder by an unprivileged belligerent; destruction of property by an unprivileged belligerent; and terrorism,” though the charge sheet is unclear whether Mohamed carried out any of these actions himself, or whether he was part of a larger conspiracy by the al-Qaeda terrorist organization. The charges allege links between Mohamed and “shoe bomber” Richard Reid (see December 22, 2001), radical Islamist Abu Zubaida, 9/11 plotter Khalid Shaikh Mohammed, and alleged “dirty bomber” Jose Padilla. Mohamed is alleged to have been part of the Padilla bomb plot. [US Defense Department, 11/4/2005 ] Much of the evidence against Mohamed comes from confessions he allegedly made while in US custody at the detention camp at Bagram Air Force Base (see January-September 2004), and in Guantanamo Bay (see September 2004 and After). He was also held in Pakistan (see April 10-May, 2002 and May 17 - July 21, 2002), and “rendered” to a secret prison in Morocco (see July 21, 2002 -- January 2004). Through his lawyers, Mohamed has claimed that he was tortured in all four detention sites. The British judiciary will later establish that British officials facilitated Mohamed’s interrogation in Pakistan, and had “full knowledge of the reported conditions of his detention and treatment” (see February 24, 2009). [Guardian, 2/5/2009] As with Padilla, the charges relating to the “dirty bomb” plot will later be dropped due to lack of evidence, and all charges against Mohamed will eventually be dropped (see October-December 2008 and February 4, 2009). On the other hand, KSM denies receiving funds from Kuwait or ever heading al-Qaeda’s military committee; he says this was a reporting error by Yosri Fouda, who interviewed him in 2002 (see April, June, or August 2002). In addition, he claims he was tortured, his children were abused in detention, and that he lied to his interrogators (see June 16, 2004). He also complains that the tribunal system is unfair and that many people who are not “enemy combatants” are being held in Guantanamo Bay. For example, a team sent by a Sunni government to assassinate bin Laden was captured by the Taliban, then by the US, and is being held in Guantanamo Bay. He says that his membership of al-Qaeda is related to the Bojinka operation, but that even after he became involved with al-Qaeda he continued to work with another organization, which he calls the “Mujaheddin,” was based in Pakistan, and for which he says he killed Daniel Pearl. [US Department of Defense, 3/10/2007 ] (Note: KSM’s cousin Ramzi Yousef was involved with the militant Pakistani organization Sipah-e-Sahaba.) [Reeve, 1999, pp. 50, 54, 67] Mohammed says he was waterboarded by his interrogators. He is asked: “Were any statements you made as the result of any of the treatment that you received during that time frame from 2003 to 2006? Did you make those statements because of the treatment you receive from these people?” He responds, “CIA peoples. Yes. At the beginning, when they transferred me.” [ABC News, 4/11/2008] He goes on to compare radical Islamists fighting to free the Middle East from US influence to George Washington, hero of the American War of Independence, and says the US is oppressing Muslims in the same way the British are alleged by some to have oppressed Americans. Regarding the fatalities on 9/11, he says: “I’m not happy that three thousand been killed in America. I feel sorry even. I don’t like to kill children and the kids.” Although Islam prohibits killing, KSM argues that there is an exception because “you are killing people in Iraq.… Same language you use, I use.… The language of war is victims.” [US Department of Defense, 3/10/2007 ] The hearing is watched from an adjoining room on closed circuit television by Senator Carl Levin (D-MI) and former Senator Bob Graham (D-FL). [US Congress, 3/10/2007] KSM’s confession arouses a great deal of interest in the media, which is skeptical of it (see March 15-23, 2007 and Shortly After). A newly released government threat analysis shows that slain trust-fund millionaire James G. Cummings, an American Nazi sympathizer from Maine who was killed by his wife Amber in December 2008, possessed the radioactive components necessary to build a so-called “dirty bomb.” Cummings, infuriated by the election of Barack Obama to the presidency, purchased depleted uranium over the Internet from an American company.